Yi Yun sensed Li Jiuxiao looking towards him with a penetrating gaze. Yi Yun was one of the first people that Li Jiuxiao suspected. 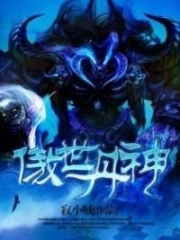 It was not because Yi Yun's cultivation level or appearance was worth suspicion. It was only because Yi Yun had gifted a mountain pig at the beginning of the ceremony. It was just such a startling move that Li Jiuxiao had no way of forgetting him. However, after looking at Yi Yun for about half a minute, he dispelled those thoughts. For someone to have the means to oppose the Li family, they had to be an important hegemon. As for Yi Yun, he gave off nothing but b.u.mpkin vibes. Even if he were there to cause trouble at the ceremony, he could not be an enemy of any importance. "How about we begin with the few of you? Don't worry. This Soul Sharing array formation will not cause any damage to your soul seas. Also, the information obtained will be more vague than a soul search. It won't reveal any of your cultivation techniques." Li Jiuxiao smiled at the group of people, having already moved past Yi Yun. The few people that Li Jiuxiao was targeting had ugly expressions. Although they were of lowly status, most people do not want their secrets to be known by others. And now, the Li family wanted to search them as they pleased. However, what could they do while they were sealed within the Li family's ancestral mountain? All they could do was sullenly allow Li Jiuxiao to search them. After a fruitless search of a few suspects, Li Jiuxiao frowned. All he could do was continue on. However, these people of little consequence did not seem capable at all. But at that moment, a figure with fluttering clothes descended. "Ninth Uncle, let me give it a try." The person who spoke was none other than Fairy Rain! People were stunned. Fairy Rain was one of the honored guests at the dual cultivation matrimonial ceremony. No one expected her to request to do the soul verification. To many, this was just a mundane ch.o.r.e. It was fine if Li Jiuxiao did it since he came up with the idea, but it was not suitable for Fairy Rain to do so. One had to know that many warriors carried with them memories of dual cultivating with girls and engaging in licentious acts. Some even did it with multiple women at the same time. Such matters were common among warriors! After all, warriors had strength that far exceeded mortals. They could and often did use their strength and status to their advantage. They could marry any number of wives and concubines and purchase maidservants, forming a huge harem. The moment Fairy Rain found those acts or deplorable memories, it would no doubt be an insult towards her. "Rain, how can you do such a job?" Li Jiuxiao naturally was not agreeable to it but Fairy Rain insisted. Fairy Rain walked over, as many people on the third platform suddenly had their thoughts stir. They never expected Fairy Rain to personally do the probe! As such, they were no longer repulsed by the idea. Some even looked forward to Fairy Rain's search of their memories. It felt like they were taking advantage of Fairy Rain. After all, their social standing and Fairy Rain's were separated by an immense gap. Being able to see her from far was already an honor. "Fairy Rain, why don't you begin with me?" A person volunteered as he patted his chest. He exuded vibes like he was the culprit and wished to be quickly apprehended. "Old Second Zhao! Cut the act. Who doesn't know you? You are nothing but an idler of the Zhao family. Your ident.i.ty is known by all. With the means you possess, you are probably only capable of slaughtering mountain pigs. To say that you are the one that caused trouble at the Martial Numinous clan's wedding ceremony? Stop dreaming. Do you want Fairy Rain to know which chick you picked at Cuihong Brothel yesterday?" Someone exposed him mercilessly, immediately inspiring jeering laughter. The mention of slaughtering mountain pigs naturally referred to Yi Yun's gift of a mountain pig at the wedding. He had become a meme, to the point that his act was used in mocking fashion against someone else. "Haha, at least Old Second Zhao's pig slaughtering capabilities are stronger than the other guy's!" another person added. Some even gave Yi Yun a derisive glance. "Fairy Rain, you can begin with me!" Another person said with a smile. As for their secrets or opportunities, a figure at Fairy Rain's level would naturally think nothing of them. Despite all the people stepping forward, Song Rainsong smiled and ignored them. She cut through the crowd and stood in front of a certain ordinary-looking, middle-aged man. He was none other than the disguised Yi Yun! Song Rainsong gave Yi Yun a penetrating glance, "Shall I begin with you?" Yi Yun p.r.i.c.ked up his brows. This was going to be interesting! In fact, since the beginning of the wedding, Yi Yun noticed that Song Rainsong had stolen a few glances at him. It was naturally not a coincidence. On second thought, it was probably the aura of the Nine Transformations Celestial Silkworm that caught Song Rainsong's attention. Yi Yun absorbed the Nine Transformations Celestial Silkworm's lifeblood with every recent breakthrough. As such, he could not help that his body exuded a hint of the silkworm's aura. Instantly, everyone looked at Yi Yun. They never expected that Song Rainsong's person of choice would be a middle-aged man with a messy beard. "Isn't he… the one who gifted the mountain pig?" "Why did Fairy Rain choose him?" Everyone was stunned. He received such special treatment from gifting a pig? He actually managed to attract Fairy Rain's attention? If they had known earlier, they would have given one themselves! What the heck! Many people cast envious looks at Yi Yun. They did not know how Yi Yun had lucked out to obtain Fairy Rain's attention. Of course, Yi Yun did not feel honored in any way. It was not difficult for him to crack the array after he figured out the Heaven Earth Yuan Qi circulation principles of the array. The Heaven Earth Yuan Qi was supposed to pa.s.s through the seven women before acc.u.mulating on Li Yunshang. 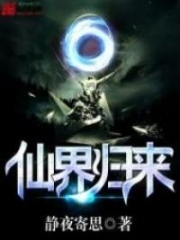 However, with Yi Yun's Purple Crystal Origins's powers, he forcibly made the energy streams pa.s.s through Li Yunshang first, siphoning him of his lifeblood. Yi Yun had many secrets, so the consequences of having his soul searched were naturally disastrous. "What? Do you have a guilty conscience?" Fairy Rain looked Yi Yun right in the eye, hoping to get a read. They were just inches away from each other. Yi Yun stroked his chin. He was surprised to discover that he had underestimated the woman. 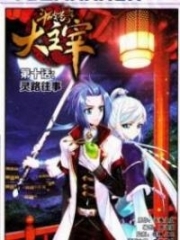 Back in the Ancient Ruins world, his attention was focused on the people from the White Lunar Divine Empire. He did not give her much thought. A woman's intuition is truly sharp. At that moment, Fairy Rain took out the disk array. Looking at Yi Yun, the corners of her lips suffused a playful smile. Under the present circ.u.mstances, Song Rainsong was certain that Yi Yun had no way of saying no. In fact, she was doing this for her own benefit. She wanted to use this opportunity to investigate the relationship between Yi Yun and the Nine Transformations Celestial Silkworm. The silkworm was just too important to her. Yi Yun pondered for a few seconds. Although he was skilled in array formations, he did not understand much about Spiritual Soul laws. It was impossible for him to understand the underlying mechanisms of the array formation fast enough for him to turn it against Song Rainsong. "Fairy Rain, I'm truly overwhelmed by the favor you have granted me." At that moment, Yi Yun said this leisurely as he placed his hand on the disk array. At the instant he stretched out his arm, a green urn inside his interspatial ring silently opened. Following that, a black shadow crept out of the ring and into Yi Yun's finger. It flowed through his meridians and finally injected itself into the disk array. The black shadow was obviously Poison Demon! Poison Demon had extraordinary origins. In ancient times, after a mighty figure who was suspected to be a G.o.dly Monarch died from the art of Great Poison, his ashes were sealed inside a green urn. Poison Demon was then born from the poisons in the ashes. Poison Demon had been in an urn for hundreds of millions of years. It absorbed the remnant soul fragments of the important figure and gained sentience. Although it did not inherit any of the dead G.o.dly Monarch's strength, it did have a talent for soul searching! Poison Demon already saw its opponent, a radiant young girl—Song Rainsong. It felt excited for no good reason as it could not help but laugh sinisterly inside the disk array. At that moment, Song Rainsong's spiritual soul strength was cast deep into the disk array. She took her position at the core of the disk array. With her spiritual soul strength being protected by the array formation, she could freely infiltrate Yi Yun's soul. Unfortunately, Yi Yun was not the only soul situated on the other end of the disk array. There was also Poison Demon. Song Rainsong's first probe was intercepted by Poison Demon. She had accidentally infiltrated Poison Demon's psyche! "Hehehe, what a moist, supple spiritual soul strength. It looks delicious. Awesome, truly awesome!" Poison Demon let out a strange cry. He became like an opium addict that had taken a whiff of opium after going cold turkey for days. This made even his owner, Yi Yun, uncomfortable. This b.a.s.t.a.r.d was way too perverse! At that moment, Song Rainsong saw Poison Demon's psyche. As an old existence, Poison Demon had been in the urn for years. Furthermore, he had devoured the souls of many. He had read the memories of the dead so its psyche world was in a mess. It was like a h.e.l.l of souls. At the instant Song Rainsong's mental energies came into contact with Poison Demon, Song Rainsong felt all sorts of chaotic memories surge at her like a tidal wave. 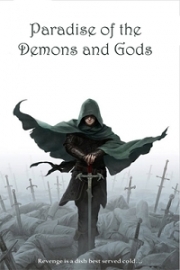 There were all sorts of demons and b.l.o.o.d.y acts of murder, all accompanied by a cold aura that froze the soul. It made Song Rainsong's soul sea quake as the color in her face drained instantly. And cast over the endless scenes of chaos was a distorted face. It had a horrendous, sinister smile. Its image was that a devil that had crawled out from h.e.l.l! The face let out a strange bellow! Instantly, Song Rainsong could not help but cry out lightly. Although she was a warrior, she was a woman in the end. She grew up in the Martial Numinous clan from a young age and had never experienced such intense madness. Her nerves were unable to handle the sudden influx of such scenes. Beads of sweat immediately appeared on Song Rainsong's forehead. "Rain, what's wrong with you!?" Haogu, who had always cared for her, turned anxious when he saw the scene. With a flash, he arrived beside her. 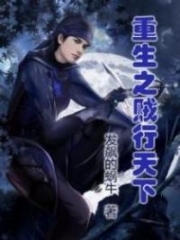 You're Read True Martial World Chapter 1409 online at NovelOnlineFull.com. You can use the follow function to bookmark your favorite novel ( Only for registered users ). If you find any errors ( can't read,broken links, can't load photos, etc.. ), Please let us know so we can fix it as soon as possible. And when you start a conversation or debate about a certain topic with other people, please do not offend them just because you don't like their opinions. You're reading True Martial World. This manga has been translated by Updating. Author(s): Cocooned Cow,蚕茧里的牛. Already has 3570 views. Current Time is 24-Apr-2019 11:57:14 AM.